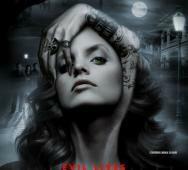 Director Alexandre Aja and Jason Blum via Blumhouse Productions will be creating new horror movie Sleepwalker. 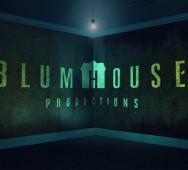 Jason Blum will produce while Jonathan Hirschbein will function as the screenwriter. News about the project is slim, but the film will involve a sleep lab study. Alexandre Aja directed Horns (2013), Piranha 3D (2010), Mirrors (2008), and The Hills Have Eyes (2006), so he has a lot of experience as a horror movie director. 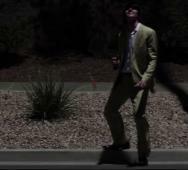 Cannot wait to hear more details on the upcoming film and when I do, we will post updates to Sleepwalker. Laverne Cox (Orange Is the New Black, The Mindy Project) has been cast in Fox’s The Rocky Horror Picture Show Special. The new TV special casts Cox as Dr. Frank-N-Furter, which was played by Tim Curry over 40 years ago. The Rocky Horror Picture Show debuts Fall 2016. Kenny Ortega (Hocus Pocus, High School Musical) will direct, executive produce, and choreograph the two-hour reboot. What do you think about Fox making a The Rocky Horror Picture Show Reboot? Summer camp slasher film The Final Girls (2015) releases on Blu-ray/DVD this November 3, 2015. Sony Pictures Home Entertainment and director Todd Strauss-Schulson are including some cool bonus features like alternate endings with optional director commentaries, deleted or extended scenes also with optional director commentary, and commentary from cast & crew and writers. That seems like a nice set of features plus a few others listed below. Taissa Farmiga, Malin Akerman, and Adam DeVine star in The Final Girls. Watch Ross Patterson's Helen Keller vs. Nightwolves for FREE Now! Ross Patterson has officially released his Helen Keller vs. Nightwolves (2015) film available online for free streaming via YouTube. Think of it as a freebie from Patterson and him holding up his end of the deal. He stated that if he raised enough money that he would release the film for free and here it is. Lin Shaye, Jessie Wiseman, Jim O’Heir, Richard Riehle, Alanna Ubach, Jesse Merlin, and Barry Bostwick star in Helen Keller vs. Nightwolves. Enjoy the film below and tell us what you think of it. Maria Animation Planet Inc. announced that they are working on a new CG-animated Resident Evil movie under the working title of Resident Evil CG 3. The new film is set to release in 2017. Resident Evil: Degeneration (2008), and Resident Evil: Damnation (2012) were the first two CG-animated films, but this movie will reboot the series. Familiar characters are set to return in this reboot so rest assured. Takashi Shimizu (Ju-on/The Grudge creator) is onboard to executive produce while Takanori Tsujimoto will direct off a script written by Makoto Fukami (Psycho-Pass anime). 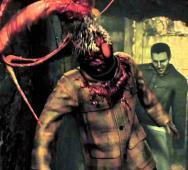 Capcom‘s Hiroyuki Kobayashi will join Shimizu as another executive producer to the film. Are you excited for a reboot to the series and the talent involved? 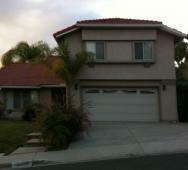 The original Paranormal Activity (2007) house was used to film a series of pranks on unsuspecting people, and they were scared out of their minds. This prank video is hilariously funny, and I felt empathy for some of the girls who looked terrified towards the middle of the video. Enjoy the video and do not forget to like and share. Congratulations to the FX team, you made this all possible and delivered a fantastic scary prank video. 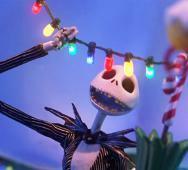 THE NIGHTMARE BEFORE CHRISTMAS - Director Answers Halloween Movie or Christmas Movie? Is The Nightmare Before Christmas (1993) a Halloween movie or a Christmas movie? 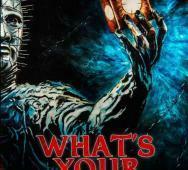 Many fans of the film have been asking this burning question for years and the director Henry Selick, Tim Burton produced the film, finally answered the question. So here it is: The Nightmare Before Christmas is officially a Halloween movie that centers on Halloween characters response to the concept of Christmas. The official response is below for you to read it for yourself. Congratulations everyone and hopefully many of you can rest easy at night now. Listening to Christopher Walken read Edgar Allen Poe’s The Raven is a memorable 8-minute long experience. 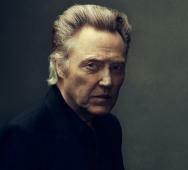 The 1845 classic horror poem receives new life from Walken. I personally love the personality that only Christopher Walken can inject into any performance. Listen and tell us what you think of this poem reading via SoundCloud. Gary Dauberman returns to write Annabelle 2, but director John Leonetti will not be returning to direct the Annabelle sequel. Many thought that Annabelle (2014) was a pretty forgettable film that lacked that extra something to make it rememberable. Hopefully, the returning writer can inject some memorable scenes into the sequel now that the origin story of Annabelle is done. Are you happy that Dauberman is returning to write the script for the sequel? I thought that the scary doll had some good scenes and that the “scary scenes” did have some potential but needed some extra lighting. 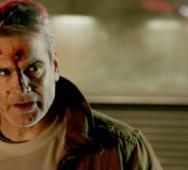 Henry Rollins stars in Jason Krawczyk‘s He Never Died (2015) releasing in select movie theaters this upcoming December 18, 2015. The film is on IndieGoGo and looking to get $50,000 so they can expand their theatrical release presence. Rollins plays an immortal in this supernatural noir who breaks his dull existence to save his kidnapped daughter. Enjoy the movie trailer below. 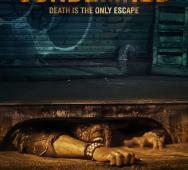 Booboo Stewart, Henry Rollins, and Steven Ogg star in He Never Died. 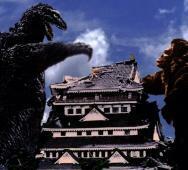 Legendary Films and Warner Bros. have confirmed that Godzilla vs. King Kong (2020) is officially releasing in movie theaters in 2020. This clash will come after the Kong: Skull Island (2017) set to release in movie theaters on March 10, 2017, and Godzilla 2 in 2018. I can only hope that we get a fully “baked” story and a few clashes before the big final fight or at least a long feature rich battle scene. 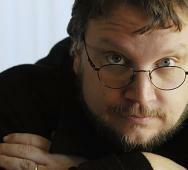 How excited are you to see this film, they have a lot of time to think about it and execute it. HalloweenCostumes.com / Hell Horror - Halloween Giveaway 2015! Today is the first day of the third annual HalloweenCostumes.com / Hell Horror Giveaway! 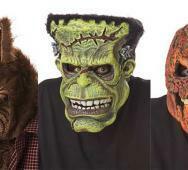 Three lucky winners will be randomly selected to win a redemption totaling $50 at HalloweenCostumes.com for anything you want. That means your prize can be scary Halloween masks, costumes, mix-and-match, or anything with a grand total of $50 per winner. This giveaway is open to US residents only and ends October 20, 2015, so you can receive your prize before Halloween. We reserve the right to find a new winner if you do not respond to claim your prize within 12 hours of the email being sent. All you have to do is be a proud member of your Hell Horror Newsletter with a high participation rate to qualify as a contestant. Good luck to you all and enjoy your Halloween 2015. 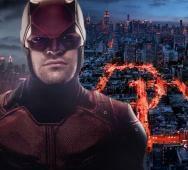 Check out this early trailer for Marvel/Netflix’s Daredevil Season 2 set to premiere in 2016. The trailer does start with a recap of season 1 then rolls into some quick footage from season 2. We get teased with Elodie Yung as Electra and Jon Bernthal as The Punisher. Returning stars include Elden Henson as Foggy Nelson, Deborah Ann Woll as Karen Page, Rosario Dawson as Claire Temple, and Charlie Cox as Matt Murdock/Daredevil. I thought the teasers were great albeit short. ABC’s Shadowhunters TV Series takes another stab at the novels The Mortal Instruments by Cassandra Clare. 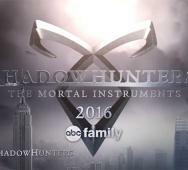 ABC’s Shadowhunters Season 1 premieres on January 12, 2016, and two clips were revealed at the New York Comic Con 2015 (NYCC 2015). I watched both clips from the pilot episode that together are about 7-minutes long and felt like ABC Family made a great TV adaptation of the popular novels. Watch the video clips below and leave your feedback, do they look good to you too? Katherine McNamara, Stephen R. Hart, and Joel Labelle star in ABC’s Shadowhunters Season 1.